from my bookshelf: The Welcome to Night Vale novel has a cover! STOP THE PRESSES. 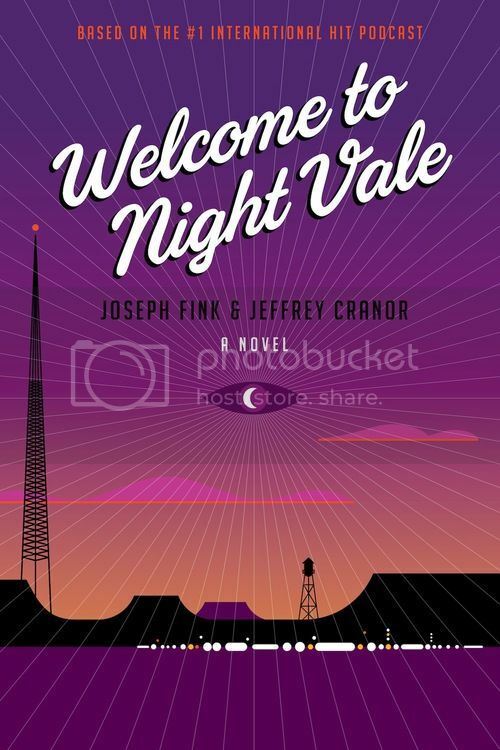 The Welcome to Night Vale novel has a cover and it is a thing of beauty and a joy forever. Where is my TARDIS? I need to get to October 20, 2015, now. Emotionally compelling and superbly realized. This seductive, hilarious book unfolds at the moment when certain quiet responsible people find they must risk everything on behalf of love, hope, and understanding. Not a single person who reads this book will be disappointed. This is the novel of your dreams. . . . A story of misfit family life that unfolds along the side streets, back alleys and spring-loaded trap doors of the small town home you’ll realize you’ve always missed living in. When it says ‘welcome,’ it’s mandatory. You belong here.